The booming medical marijuana business is desperate to expand, so Canada’s cannabis growers are moving into spaces deserted by shrinking industries such as oil and gas and manufacturing. 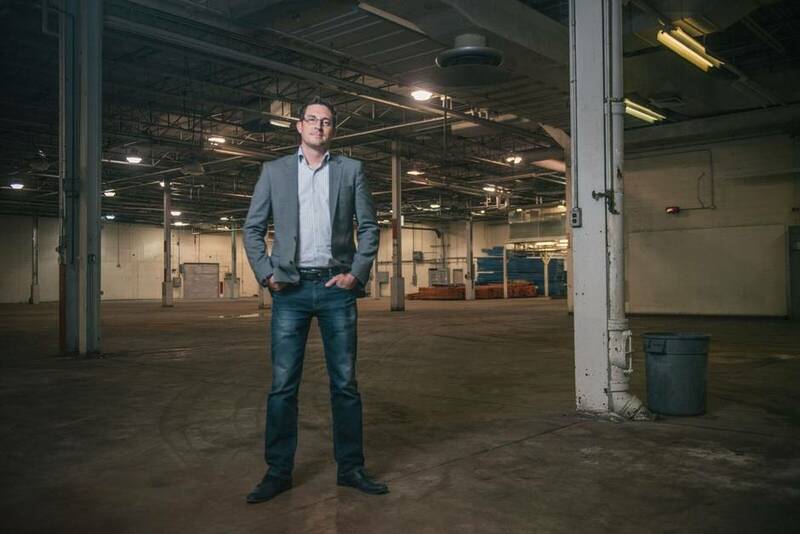 In June of 2013, Mark Zekulin, president of Tweed Inc. (a subsidiary of publicly traded Canopy Growth Corp., Canada’s largest marijuana producer), walked into Dennis Staples’s office with a business proposition: to turn a 470,000-square-foot former chocolate factory into the future home for millions of dollars in marijuana plants. It took just half an hour to convince Mr. Staples, then the mayor of Smiths Falls, Ont., to convert the town’s abandoned Hershey chocolate factory into a medical marijuana grow-op. He says he knew this was “a gift looking us straight in the eye” after several employers, including U.S.-based Hershey Co., moved out of the Eastern Ontario town of 9,000, taking 1,700 jobs with them. Mr. Staples is not alone in seeing the opportunity for employment and development by welcoming cannabis companies into the neighbourhood and reviving areas devastated by downturns. The demand for medical-grade product is growing at an enormous rate. Health Canada says the country had 98,460 registered medical marijuana clients as of Sept. 30, 2016, up from 30,537 a year earlier. With this explosion comes a need to grow more weed. But there are a lot of infrastructure requirements for a profitable marijuana producer, including access to uninterrupted high-wattage electricity, sophisticated security systems, a location close to (but not in the middle of) major distribution centres and, for big producers, square footage in the hundreds of thousands. 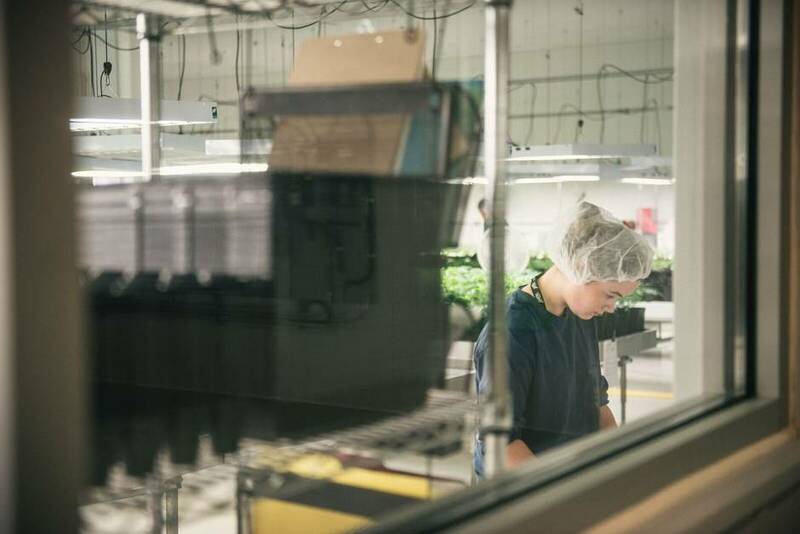 With the pressure to expand weighing on Canada’s cannabis producers – there are 38 registered growers in the country, according to Health Canada – some are looking to build from scratch, while others have decided to convert existing structures into what they need. Both approaches have their pros and cons. Its past life as a factory meant the location already had several required amenities in place, including correct industrial zoning and the capacity for large electricity and water usage. “Plus, it was a large empty box,” explains Mr. Zekulin, which meant Tweed could use the existing footprint but install its required technology and security with relative ease. The U.S. commercial real estate industry has already recognized the need for commercial space for cannabis producers, with agencies such as 420 Property Management and the AIR Commercial Real Estate Association offering prospective tenants (in states where marijuana is legalized) property options and access to agents specializing in correctly zoned, cannabis-friendly spaces. “I’m not aware of any associations like this in Canada right now,” says Pierre Leduc, media relations officer for the Canadian Real Estate Association. Smaller and medium-sized producers, including Tilray in Nanaimo, B.C., United Greeneries in Duncan, B.C., and AbCann Medicinals in Napanee, have found enough space in rural areas and smaller centres to set up shop. But larger operators say there is, and will continue to be, a pressing need for more large-scale commercial properties in Canada capable of housing millions of dollars’ worth of plants. B.C. 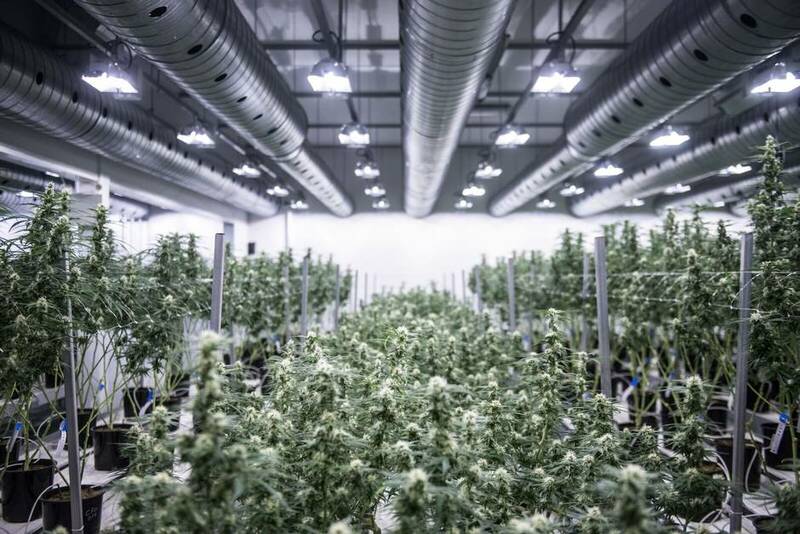 grower Aurora Cannabis Inc. prefers the purpose-built, ground-up approach to this budding warehouse business. 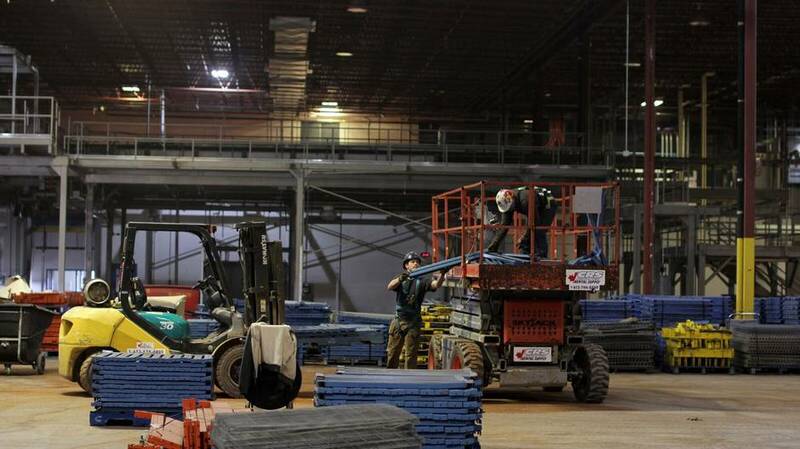 The Vancouver-based company is constructing an 800,000-square-foot production plant on federal acreage leased from the Edmonton International Airport in Leduc, Alta., a city that has suffered a drastic downturn in its industrial real estate since oil prices plummeted three years ago. Several jurisdictions in Alberta had contacted Aurora asking for the company to consider building its expansion site in their area. 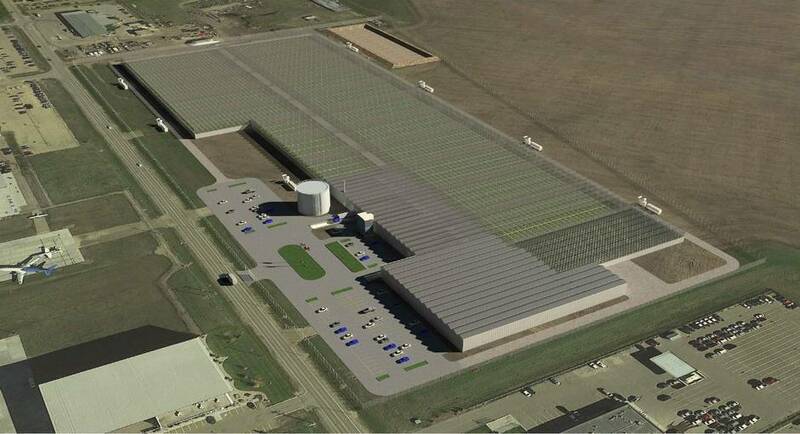 The new plant, referred to as the Aurora Sky facility, will be the size of 16 football fields and capable of growing in excess of 100,000 kilograms of high-quality cannabis a year. 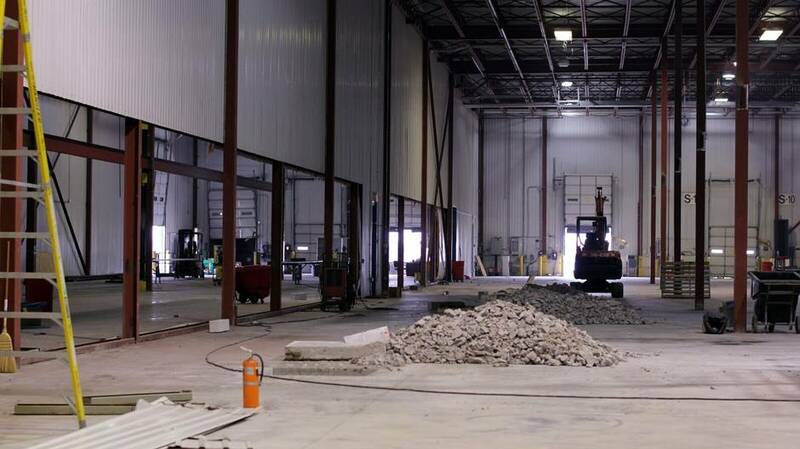 It’s a necessary expansion as Aurora’s existing $11.5-million facility, completed in 2014 in Alberta’s Mountain View County area, between Calgary and Red Deer, is approaching full capacity as demand surges month over month. “There is a significant need for increased capacity in the sector,” says Mr. Battley, whose publicly traded company has raised about $130-million in capital in the past six months. “The cannabis industry is growing way faster than anyone ever anticipated,” admits Mr. Battley, adding that the predicted legalization of marijuana for recreational use will prompt further growth in cannabis production. With industry analysts projecting a $10-billion-a-year industry for recreational pot alone, even more pressure would be put on the nation’s growers to keep up.